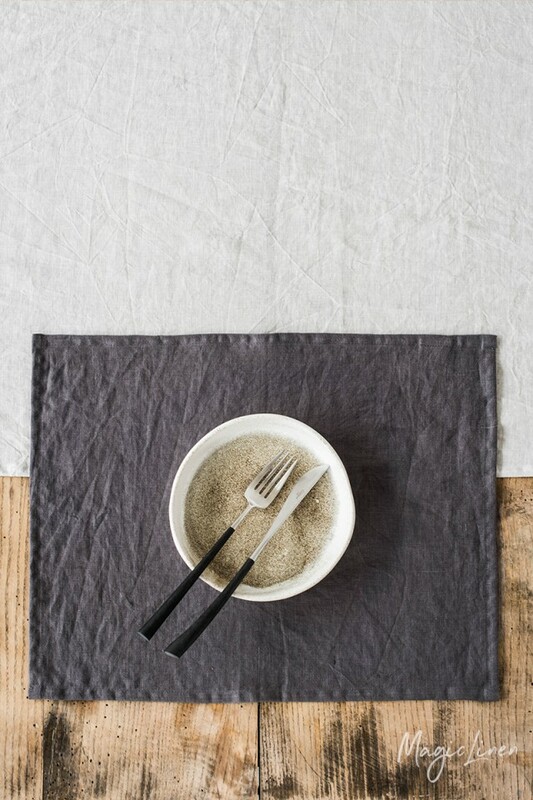 Linen placemat in charcoal gray color. 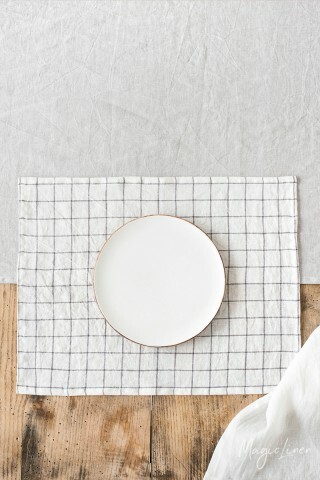 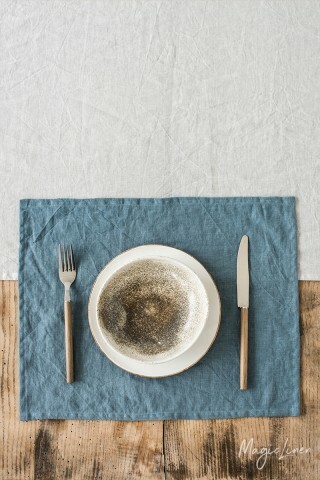 Protect your table and dine in style with a linen placemat that is soft and easy to care for. 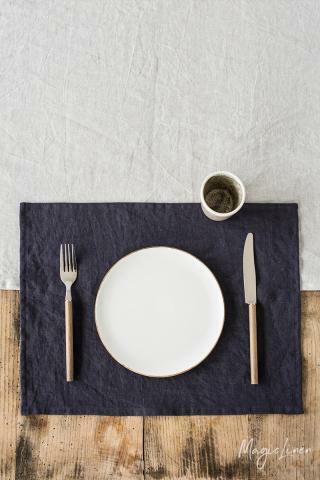 Use it under plates when serving food or as table decorations. 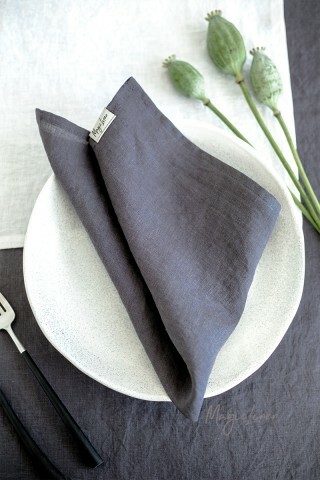 Perfect for mixing with tablecloths, runners, napkins, and napkins.